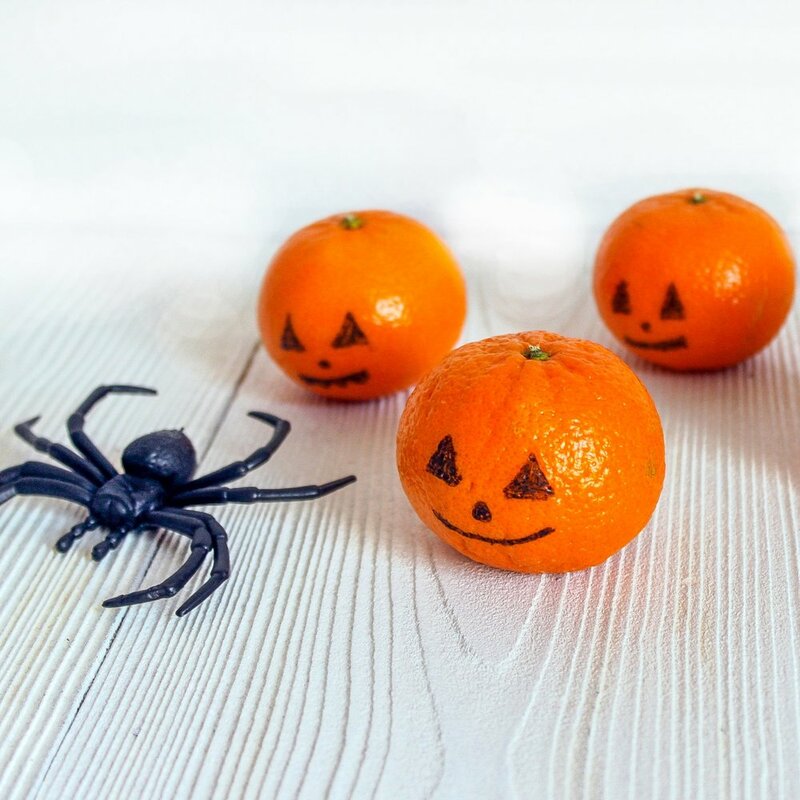 The countdown to Halloween has started early for The Organic Cookery School, with themed sweet and savoury cookery workshops running all through October half term. 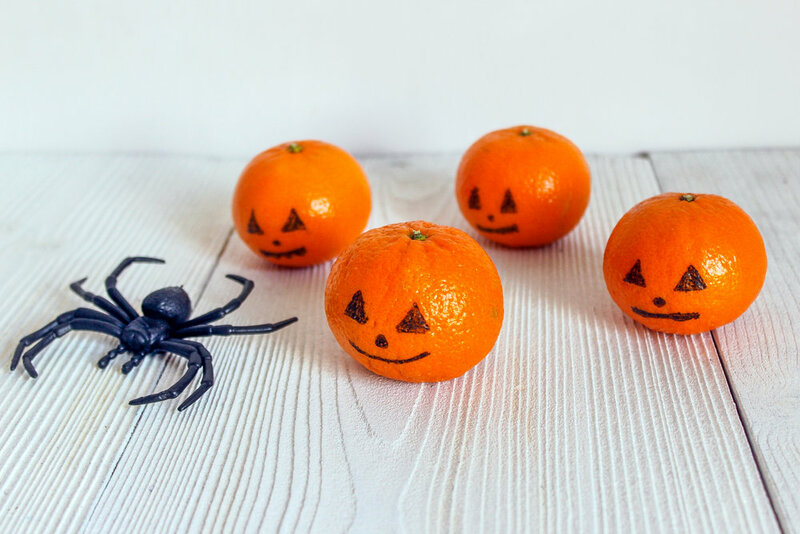 But for those of you planning parties at home, we’ve compiled some of our favourite healthier Halloween treats. They are super simple to make, so get the kids involved and enjoy the festivities. Peel banana and kiwi and add to blender with rest of ingredients. Add a cup of water and blend to desired consistency. 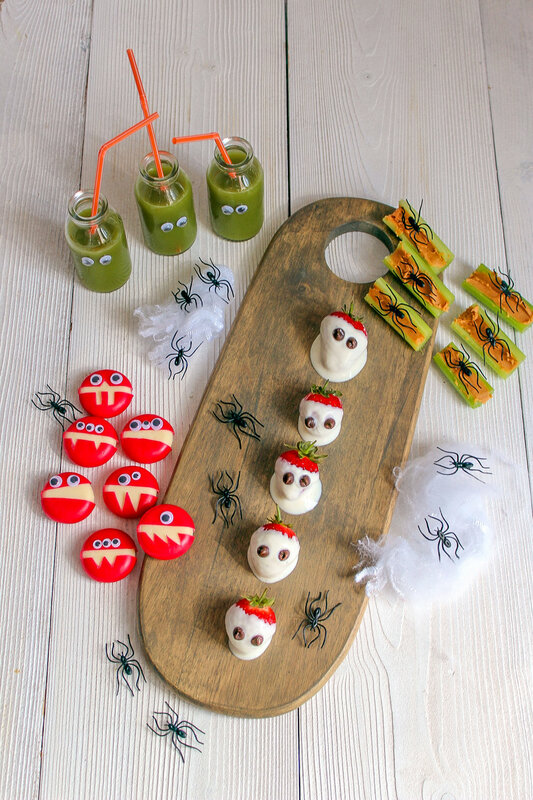 Decorate cups or bottle with ghoulish googly eyes, and serve. Choc chips or currants for eyes. Pour yogurt into a cup and dunk strawberries by their stem. Arrange on greaseproof paper and place in freezer for 5-10 minutes. Remove from freezer and repeat. After second dunk add chocolate chip or currant eyes. Dunk banana halves in a tumbler of yogurt. Roll in coconut . Stand on platter and add chocolate chip eyes. Using a small table knife, fill celery logs with peanut butter. 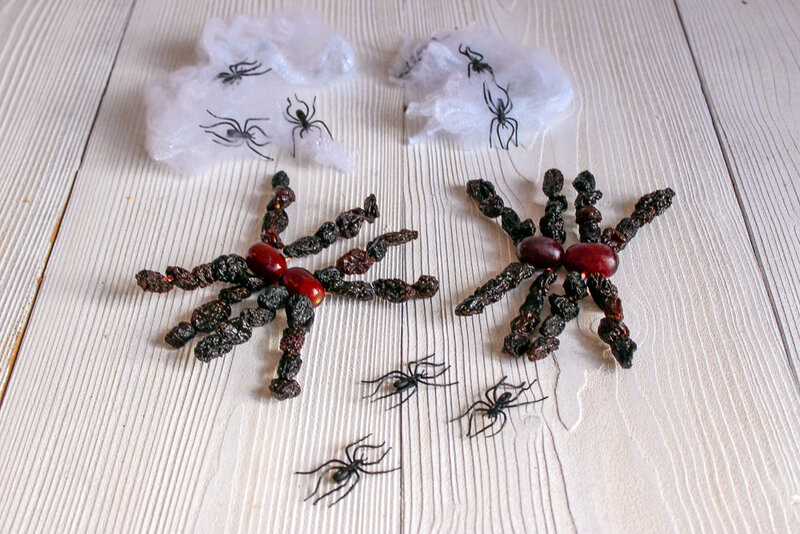 Decorate each log with a spider. Carefully cut out funky monster teeth from wax outer. Decorate with googly eyes. Draw pumpkin eyes, nose and mouth and leave to dry. 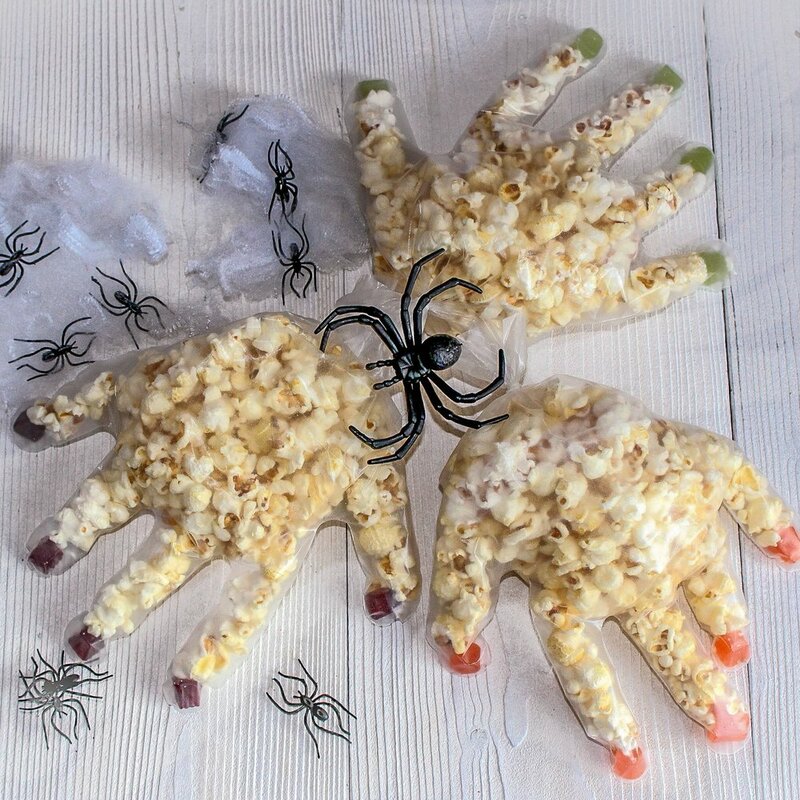 Drop a jelly sweet in each finger, then fill gloves with popcorn. Make sure the popcorn fills each finger and secure with a loom band or small tie. 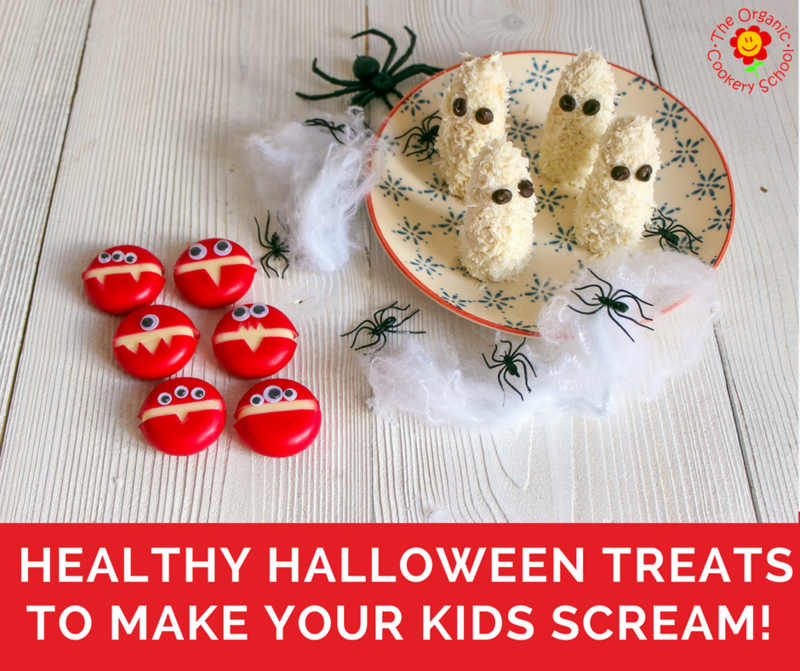 We hope your little monsters scream with delight when they see what they are going to be making . And we’d love to hear your ideas too! 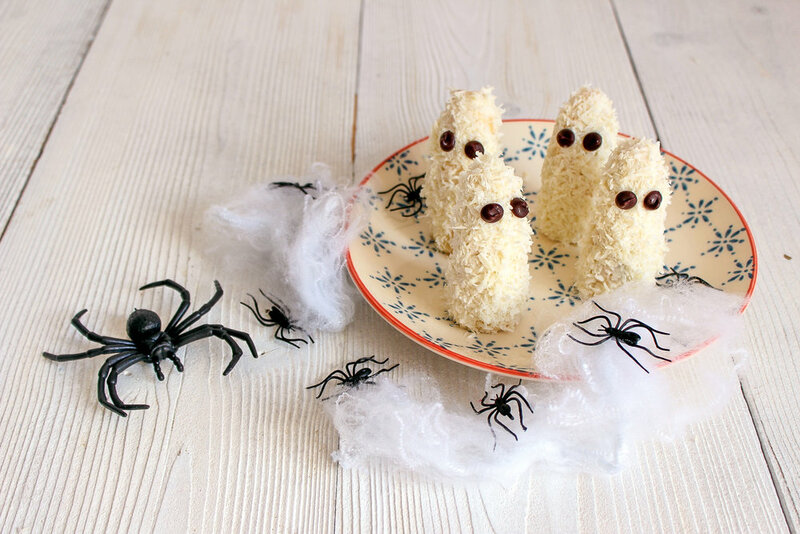 Comment below with your favourite Halloween treats and recipes, we read every comment! 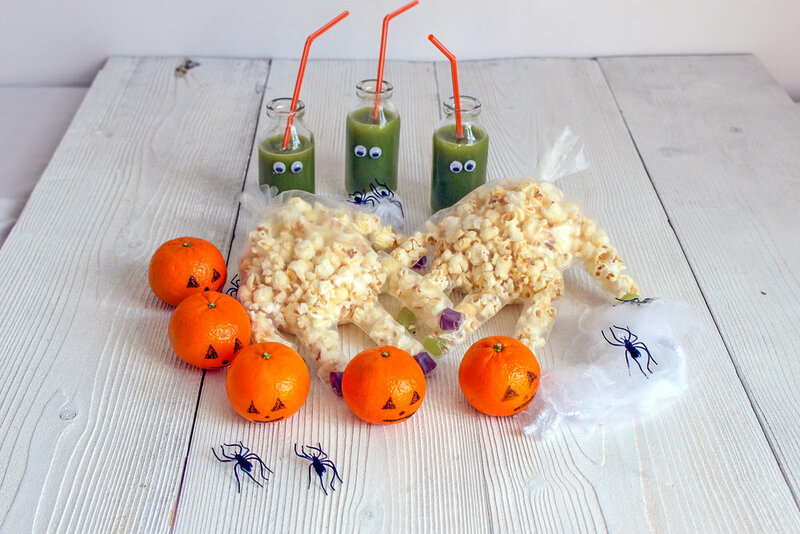 Every Halloween party bag or lunchbox needs a ghoulish joke or two! Enter your email below and we'll send you a free printable of our best ten spooky Halloween lunchbox jokes.